The new ball is finally spreading around the globe and one thing which has become apparent is the high prices. I recently heard that the price for a 3 pack of 3 star Butterfly plastic balls would be $10USD. That's over $3USD per ball. The Nittaku premium plastic balls also near that mark as well. 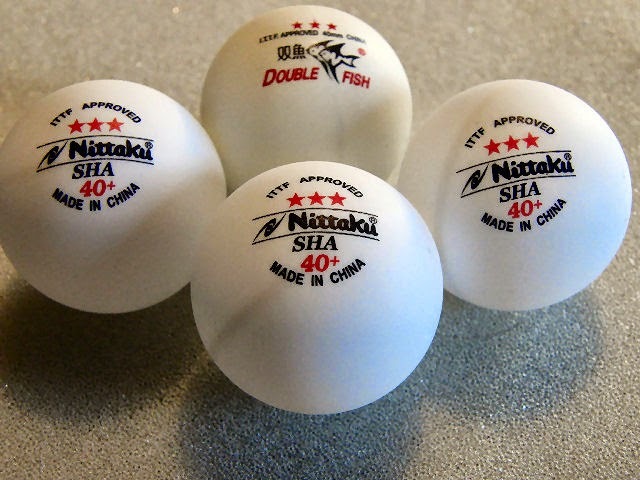 It is understandable that prices may be higher as companies adjust their production systems and techniques but these prices are insane for one table tennis ball. Couple the expensive pricing with the high rate of breakage and you have to wonder what the sport is coming to! I recall when the ball was being introduced that one of the reasons for the change was the high cost of shipping celluloid balls as they were flammable and transportation had become more expensive. In all honesty I would rather pay $3 per ball to keep the old ones and cover the shipping costs than have to pay this much for a ball which may not even last an hour during practice. Before hitting us with such extortionate prices you would think they would at least do a lot more work on the quality and durability of the plastic balls. 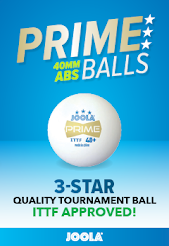 How does everybody else feel about the match of price and quality for the new balls? One of the hottest debates in table tennis is the moral argument of whether or not to boost. I personally don't boost and choose not to purely because it is the rule of the sport that boosting is not legal. 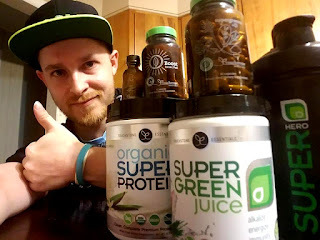 In saying that I believe that boosting should be made legal for a few very simple reasons. The new ball is designed to slow the game down, we all know that rubber manufacturers around the world are already doing their absolute best to combat the reduction in speed and spin by turning out generations of rubbers which are spinner and faster than ever before. We love this sport because of speed, we love it because of spin, so why reduce both? Why not allow booster so we can balance out longer rallies and still great speed, spin and control? 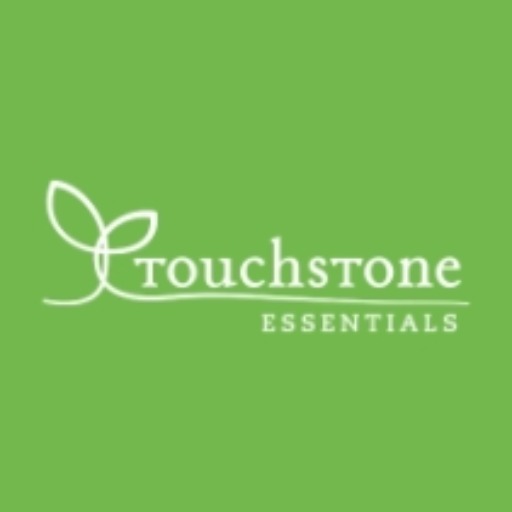 We could avoid the frustrations of changing technique as much and having to deal with everything lagging. Of course this is not so important and is by no means the main reason why I think boosting should be legalized. I do however believe that reducing speed and spin in the game has become a goal of the ITTF and this is the real reason why boosting is banned and not, in fact, the reason that it creates an unfair playing field as I will mention more below. Speed glue was originally banned because of it's VOC content which was deemed to be harmful, some clever individual decided to consume come of it for reasons unknown to any intelligent human being. Most boosters on the other hand are VOC free, hence why they are undetectable by the ITTF in racket testing. If they are not harmful then there is no real reason to ban them in that aspect. This is the ultimate reason why boosting should be legalised. 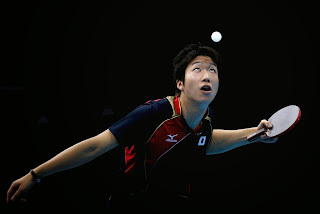 Face it, the ITTF can't detect boosters and for that reason they are also unable to police it. They are wasting time and resources to try and crack down on something unimportant. They want people to stop boosting out of fairness for those who follow the rules. Easier solution. Legalise boosting. This way the people who want to follow the rules, like me, are not disadvantaged against people who don't care about the rule and boost. It is difficult to play against a Chinese player with a freshly boosted bat when you are back in the dinosaur ages with your slower water based glued rubbers. They have an uncanny ability to make your loops look like trash. Granted a good player will be able to do this anyway, but sometimes you can see quite clearly how boosted rubber is giving them the advantage in the game. So the real question is which scenario creates more of an unfair playing field? Booster being illegal where the players who abide by the rules are at a disadvantage, or booster being legal where everyone has a fair chance to be on the same playing field by choice and disadvantage is only upon those who opt not to boost because they don't want to. Why Do I Care About the Rule? You might say, well if you think the rule against boosting is so unfair and since ITTF can't detect it then why don't you just join the masses and boost anyway? Well in my opinion rules are rules and I like to follow them and so do many others. This rule, as stupid as it is, is in place regardless and so I follow it. So what is your opinion? Should boosters be legalised, is the rule sane or stupid? Are boosters just illegal so we have to constantly buy the latest upgraded rubber constantly as we had to with the new tensor rubbers to combat speed glue illegality and again now we need new rubber to combat the new ball? Was the New Ball More Entertaining? 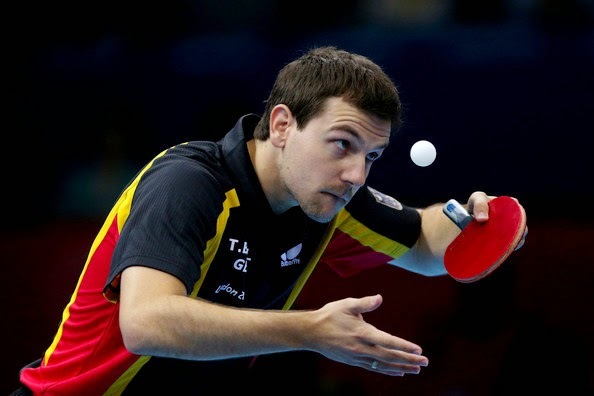 The ITTF change to the new ball was meant to bring about more exciting rallies and longer points in table tennis. Rather than throw my own opinion in the mix again I want to throw out a small reflection on the men's and women's world cup events and hopefully get some feedback from you guys. First of all it was said that the slower ball was meant to reduce Chinese dominance by slowing the game down. In both the men's and women's world cups we saw an all Chinese final, so any hopes of a change in ball ending China's reign at the top are a bit lost and to be fair we all know a new ball isn't going to be the saving grace for the rest of the world, so no surprises there. In saying that we did see Zhang Jike and Li Xiaoxia challenged in the events. Jike dropped 2 sets to the man of the limelight, Quadri Aruna of Nigeria and also went all the way to 7 with Timo Boll. Li Xiaoxia had to battle through a 7 set match with Liu Jia of Austria. So what does that mean? Well for Boll it isn't the first time he has pushed Jike, also it appeared Xiaoxia was having quite a bit of trouble adapting to the new ball, especially after her one sided loss to Ding Ning in the final. Were the points longer? There were some great points, you can see below the DHS Top 10 video from the Men's World Cup. There were decent rallies in a lot of the matches but also lots of easy errors and some matches which were bordering on disappointing. It is important to focus on the good points as we can expect the errors to be reduced as players get used to the new ball. How did you feel the quality of the rallies stacked up in comparison to World Majors from previous years? Worse, the same or better? Aside from interesting points there were some intruiging results. Kamal pushed Ovtcharov to 7, Boll decimated Dima in straight games, as did Apolonia to his teammate Marcos Freitas. We saw Georgina Pota and her old school style go down 4-3 against Kasumi Ishikawa in the bronze medal match. Quadri Aruna of course cleared his group stage by defeating Shibaev and Kenta Matsudaira, carrying on to beat Tang Peng in the first round before losing in 6 to Jike. The results were exciting, the matches were just as exciting in terms of their intensity and uncertain nature. Essentially we saw some less expected players thrive and some fair not so well, this is to be expected. The outlook is uncertain but I think it can only go up from here as the players start to get a handle on the new ball and develop ideas and feeling for it.